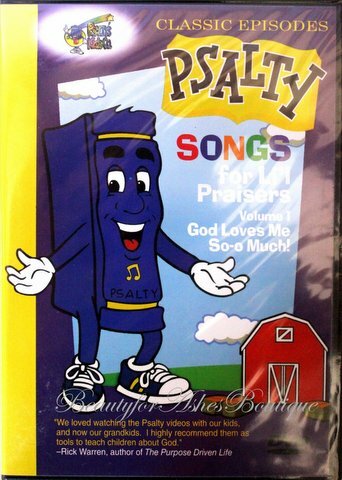 Home > Psalty Kids Store > PSALTY SONGS FOR LI'L PRAISERS VOLUME 1 DVD - God Loves Me So-o Much! Psalty and the Kids are in the Worship Workshop meeting Psalty's new invention, the Nose-It-All! Song List: I'm a Li'l Praiser, This Little Light of Mine, Give Me Oil in My Lamp, God Is So Good, Say to the Lord I Love You, Doodle Oodle, Jesus Loves Me.